At Country Clean. we provide the cheapest waste collection in Cork as well as a full recycling service to businesses all over Cork City and County. Our objective is to provide comprehensive waste collection in Cork for your business as well as a cost-effective recycling service. Each of your expected waste streams are examined individually by our qualified environmental officers and these waste streams form an integral component of the complete waste collection management solution we offer in Cork. • Preliminary site-audit of your facility for a tailored waste management plan. • On and off site segregation/specialist waste services. 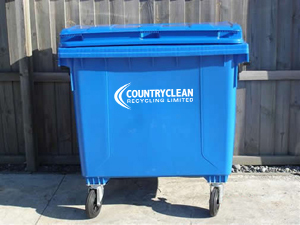 • Increased recycling rates and reduced disposal costs through responsible waste management. • On-site waste operatives for dedicated waste management. • Provision of on-site waste handling and storage equipment. • Regular progress meetings to review waste management plan for continuous improvement. • Periodic reporting on waste management performance/full audit trail available. • Confidence in our services through traceability of waste management, from collection to final destination. • Dedicated customer care/cost reduction. • Construction and demolition waste management. 022-46848/ 022-46956 or visit our contact page to email us.